Ramon is a Weidenfeld-Hoffman Scholar at the University of Oxford. He is a political scientist and internationalist from the Centre for Research and Teaching in Economics in Mexico City, where he graduated with honours by conducting research regarding the political determinants of public funding allocation. 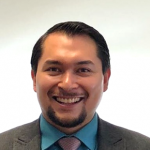 He has previously worked for the Mexican Ministry of Finance in monitoring public policies and developing analytic tools to evaluate the performance of federal agencies and subnational governments. Among other responsibilities, Ramon has coordinated the process of identification of the contributions of all federal public policies to achieve the Sustainable Development Goals in Mexico and the drafting process of the Budget Explanatory Memorandum that the Ministry of Finance presents annually to the Congress.